There are fad diets that are all hype and no substance, and there are decent diets that don’t get enough exposure. The same can be said for dietary supplements, so called superfoods and whatever macronutrient is being focused on at any point. If you want to lose weight, sometimes it’s best just to start doing something, rather than spending time trying to decide which thing to do. Here’s our take on a few simple examples of dieting, food and supplements. She was Australia’s Next Top Model, and is now one of the most popular faces in the modelling world, not to mention being the ambassador for the Colour Run, and releasing her own clothing line. …from the muesli with almond milk, yoghurt, bananas and berries for breakfast, to the portions of chicken, lean meats and fish for lunch and dinner. Veggies and more veggies seems to be the side order of the day for Brooke too. Stick to leafy greens and coloured vegetables for the most part, she says. Not all diets have to be strict portions of this and that but it’s a good idea to get your protein portions to be consistently about the size of a lean chicken breast, or the palm of your hand. Diets shouldn’t have specific exclusions, like “zero carbs” because it’s impossible, but it’s clear from Brooke Hogan’s approach that the starchy, heavy carbs like pasta and potatoes are kept to a minimum. Let’s not forget she works out like a demon and gets plenty of solid rest as well. Our only gripe with Brooke is that she takes Swisse supplements [https://www.youbutskinny.com/swisse-weight-control-australia-uk], which we are not that fond of. Liquids could never replace solid foods in a diet, but if you’re seriously committed to losing weight, they can make a great meal replacement or a healthy snack. Depending on what you put in them, they can contain a good portion of protein, and all the smashed up fruits and vegetables you could need. 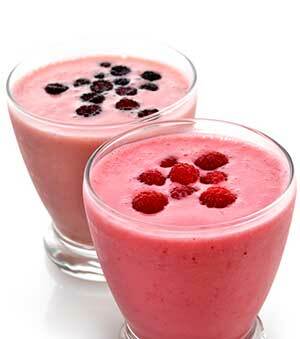 Hunger is often attributed to lack of nutrients, which is one of the great things about blenders. The more powerful ones can destroy fruits and vegetables so absolutely, down to the cellular level, that some nutrients like chlorophyl are released. That’s something chewing does much less efficiently. By getting this nutrient dense liquid into your body, you can avoid consuming many of the additional calories that might come with a full meal, while hitting your health points for the day in one swoop. Dietary supplements – fat burners, diet pills, appetite suppressors – should not be thought of as the solution to weight problems. The name supplement even tells you they are additional by definition. So on top of your dieting, and your exercising, you can tip the scales in your favour with a good diet pill. PhenQ is a great example of a popular all-round diet pill, which helps keep the hunger down and burns extra fat at the same time. It even contains compounds which block some fat from being stored. Women and men all over the world are using this clinically designed weight management supplement to help themselves lose those inches of the waist. Available to be shipped nearly everywhere on the planet, including Australia, Canada, USA, UK, and Europe, it is often available at discounted prices.